At JRP Tree & Demolition, we provide a wide variety of tree services, ranging from tree trimming to stump grinding and from tree fertilization to tree removal. We bring over three decades of experience to the table, serving the Houston area with a dedication to great customer service. To care for your trees, JRP Tree & Demolition has the know-how, experience and equipment to help your tree grow well or to remove a tree that is dead, dying or diseased. Whatever your needs, if it involves getting your property ready for storm season or cleaning up the damaged trees after a storm, we’re your local tree service company! Dead or dying trees: Whether it’s a tree that’s been struck by lighting, or a tree that’s on its last limb due to old age, we can help. We’ll cut down any dead or dying trees on your lot, and we’ll be sure to keep your property safe, even when we’re cutting down your tallest trees. Storm damaged trees: Tree limbs can snap and break during a heavy storm. If you have a storm-damaged trees and need emergency tree removal, we’ll be there as soon as possible. You can learn more about our emergency tree care services below. Diseased trees: Trees can succumb to disease, just as we can. If you notice that your trees have fallen victim to mold, insects, or other pests, we have the solution. In some instances, we may be able to save your trees, by lopping off limbs selectively. Or, if your trees are too damaged, we can remove them from your property. Keep an eye out for signs of unhealthy trees, including bark loss, discoloring, and a premature loss of leaves. Trees that obstruct your view: Do you value the view from your deck? Or perhaps you have an overgrown tree that’s right in front of the living room window. Regardless of your situation, we can remove trees that block your cherished views. We can also shape trees and trim trees, per your preference. Leaning trees: If you have a tree on your property that is leaning, it could fall at any time. Trees lose their stability if they have poor soil, root rot, or if they’ve been weakened by wind or heavy rainfall. While some trees can be saved with cabling and bracing (another one of our services), other trees may need to be cut down. Other dangerous trees: The trees on your property can be a liability if they’re growing near power lines, or if they’re growing over the sidewalk, your home, or your driveway. 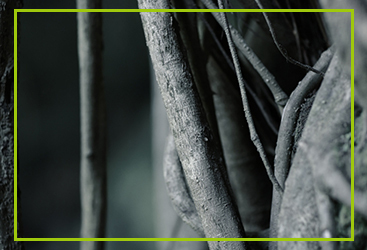 If you have trees that pose a threat to your property and passersby, we can ensure that your lot is safe once again. Land clearing: If you have dozens of trees on your property that need to go, we provide land clearing services along with our tree removal services. We can clear trees off your lot, and we provide land grading services if you need to completely level your property. 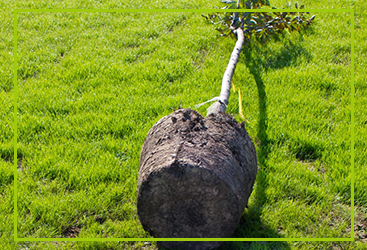 *Take note, we also provide stump grinding services, alongside our tree removal services. You can learn more about our stump grinding services below. Feel free to read more about Houston’s best tree removal services. Tree shaping: Impress guests, improve your home’s curb appeal, and boost the value of your property with our tree shaping services. We’ll prune your trees to make your property picturesque. Sick branches: As we mentioned, your trees are liable to become unhealthy. If you have a tree with limbs that have been affected by disease or infested by pests. We can lop off any unhealthy branches on your trees. Again, keep an eye out for any signs of unhealthy tree limbs, including bark loss, discoloring, and a premature loss of leaves. Branches that obstruct your view: If you have trees that are overgrowing their boundaries, you can tame those trees to regain those cherished views around your property. We’ll strategically lop off branches that are intruding on your views, and we’ll make sure that your trees will remain healthy. We are certified and trained arborists, and members of the International Society of Arboriculture (ISA), which means that we know how to properly trim your trees while maintaining their health. Low-hanging branches: Low-hanging branches aren’t just a nuisance, they can be dangerous. Whether you need branches cut to make mowing easier, or you have branches that are growing into the sidewalk or your driveway, we can help. Feel free to read more about Houston’s best tree trimming services. Tree topping involves lopping off the highest branches of a tree, including leader branches (the largest vertical branches that grow to the tallest heights). Tree topping can be useful for your property, so long as the tree topping is performed without harming the health of the tree. Always utilize a trained arborist if you’re considering tree topping — never attempt tree topping yourself, it’s easy to damage or kill your tree if improperly topped. That said, tree topping can be useful to improve the look of your tree, to improve views around your property, and to stimulate tree growth. Tree topping may also be a great option if you need to bring more light into your yard or garden. Feel free to read more about Houston’s best tree topping services. If you have dozens of trees on your property, you can end up with an obstructed view, and it can be impossible to build. If you’re looking to clear your lot, we can remove all of the trees you’d like. We know the local laws and codes surrounding lot clearing, and we’ll help you to attain the appropriate permits that may be necessary for your lot. In addition to clearing trees, we can demolish structures, level or grade your lot, and clear any other flora on your property. Feel free to read more about Houston’s best land clearing services. Stumps aren’t just an eyesore, they can be dangerous. If you have a stump in the center of your yard, for instance, it can be a hazard when kids are running around the lawn. 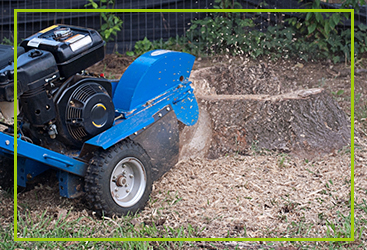 Here at JRP Tree & Demolition, we utilize a stump grinder to grind down stumps to below the grade of the surrounding property. Our stump grinder has a spinning chain with teeth that grind into the stump, which slowly tears into the stump. We remove enough stump so that the ground can be covered to a smooth grade — making stump grinding ideal if you’d like to seed or plant sod on the soil. Feel free to read more about Houston’s best stump grinding services. For some trees and certain lots, stump removal may be a better option than stump grinding. 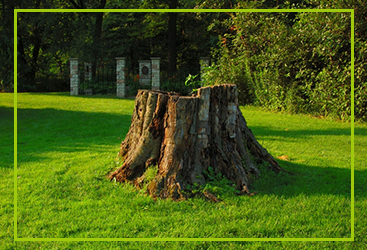 With our stump removal services, we completely remove the stump from your property. We can excavate and remove any stumps and their roots. Stump removal is a popular choice for smaller trees, and it may be the best option if you’d like to build on your property. If you’re planning on building a foundation where trees used to be, for example, stump removal may be necessary instead of stump grinding. Feel free to read more about Houston’s best stump removal services. Like the plants in your garden, your trees require nutrients to thrive. If you have a tree that is growing poorly, its soil may not have sufficient nutrients to survive. Fertilizing your trees improves their health, it can speed their growth, and it’s a good idea for any tree on your property. 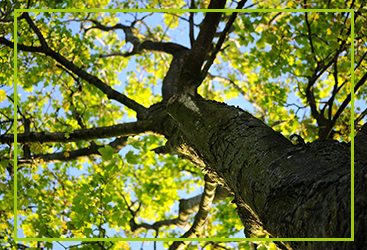 At JRP Tree & Demolition, we use tree fertilizer that’s formulated to improve the health of your trees. We utilize specialized tools that help us to penetrate the soil around your trees, placing tree fertilizer right at the roots of your trees. Tree fertilization is an excellent option for young trees, trees that are growing slowly, fruit trees, trees with dead branches, trees that aren’t producing leaves or flowers, and trees that are discolored. It’s a good idea to fertilize your trees regularly to ensure that their soil is enriched and balanced with the nutrients necessary for healthy growth. 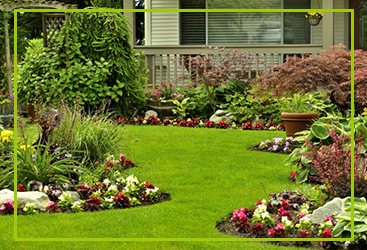 Feel free to read more about Houston’s best tree fertilization services. If you have unhealthy trees, we may be able to revive them. As trained, certified arborists, we know tree health, and we’ll do our utmost to care for your trees. We’ll assess the health of your trees and formulate a plan to improve their health. Depending on the state of your trees, we may recommend trimming, fertilization, bracing, and/or a change in your trees’ watering schedule. Whether you have trees that aren’t growing to their fullest, trees with missing bark or poor leaf growth, trees that are leaning, or trees with dead or dying limbs, we can help. We’ll take a look and come up with a personalized solution for your trees’ unique issues. Feel free to read more about Houston’s best tree preservation services. Leave tree planting to the professionals here at JRP Tree & Demolition. From tree selection to hole digging, to planting, we’ll give your trees their greatest chance of success from the day we plant them. As we’ve mentioned, we’re trained and certified arborists, so we know how to plant trees properly. Feel free to read more about Houston’s best tree planting services. Trees require care and maintenance. From fertilization to tree trimming, we’ll do all that we can to improve the health of the trees on your property. 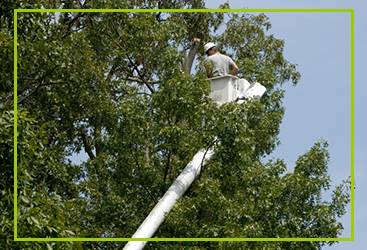 Count on JRP Tree & Demolition for tree health care services and arborist services. 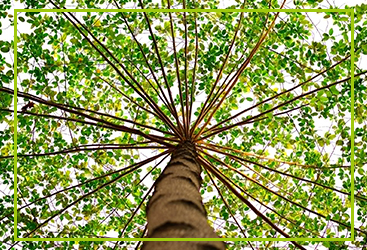 We’ll ensure that your trees are full and thriving. It’s our goal to lengthen the longevity of your trees. Feel free to read more about Houston’s best tree health care services. We don’t just trim trees. 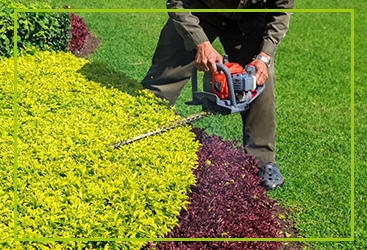 We can shape and trim shrubs on your property, and we provide shrub removal services as well. If you want to give your property the full treatment, we can take care of your shrubs and trees all in one fell swoop. We can improve the look of your property with shrub trimming, and we can improve your view with shrub removal. Feel free to read more about Houston’s best shrub pruning and removal services. When disaster strikes, we’re here to provide an immediate solution. Trees can be incredibly dangerous, especially when high winds and lightning come into play. Here at JRP Tree & Demolition, we provide emergency tree services for folks throughout Houston. Count on us if you have encountered tree damage on your property. We can cut hanging limbs, we can remove trees that have been struck by lightning, we can cable and brace trees that are leaning, and we can clean up any trees or limbs that have fallen on your property. Feel free to read more about Houston’s best emergency tree care services. 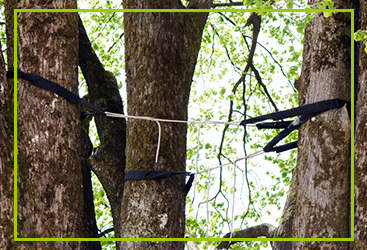 Tree cabling and bracing can save a tree, and it can be a wise precaution if your tree is liable to fall or break in an upcoming storm. We can cable and brace your trees to give them added structural integrity. Count on us for tree cabling and bracing services if you have trees that are leaning, or if you have trees that are liable to fall over or snap in the midst of a powerful storm. Feel free to read more about Houston’s best tree cabling and bracing services. If you’re planting trees near your home, your driveway, the sidewalk, or buried infrastructure, root barrier can be a protective measure. Root barrier is just that — a barrier that’s designed to keep roots from harming other parts of your property. 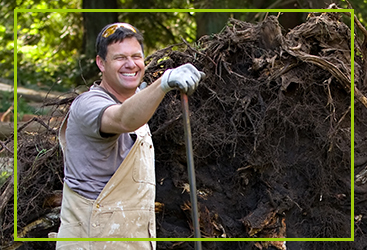 You can keep roots from cracking your home’s foundation with our root barrier services. Feel free to read more about Houston’s best root barrier services. JRP Tree & Demolition is Houston’s trusted source for tree care services. We have over thirty years of experience helping folks throughout the area by improving their properties and the health of their trees. We’re certified arborists, which means that we truly know how to care for trees. Plus, we have all the proper equipment (including safety equipment) necessary to make our tree services swift, as well as safe. Count on us for any and all of our tree care services. Get started with a free quote for your upcoming tree care project, and discover the JRP Tree & Demolition difference for yourself!